We give our patients the confidence to smile again. 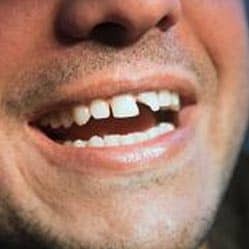 At Merion Village Dental, we understand that accidents are unavoidable and can, unfortunately, lead to broken or misshaped teeth. Damaged smiles have a way of stealing confidence, causing a person to feel the need to hide their smile. Our experienced dental team combines modern technology with gentle care to restore and reshape smiles with a custom treatment plan. Cavities and tooth decay are more than unsightly, they can often be uncomfortable and painful. Why go another day trying to mask the pain, when we can restore your smile once and for all? Our experienced dentists will diagnose the underlying cause of your discomfort while discussing potential treatment options. Together, we will build a treatment plan custom fit to your lifestyle and overall oral health goals. It's time to start smiling confidently once again. Do you suffer from tooth pain or the embarrassment of a chipped tooth? We would be honored to treat you to a new healthy smile. Call our office today to schedule your consultation appointment and take the next steps to a healthier smile.